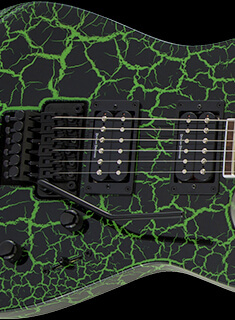 X Series King V™ guitars are Jackson’s most regal shred machines, affordably attired with innovative design elements and modern features that deliver monster tone and ultra-fast playability for the latest generation of shredders. 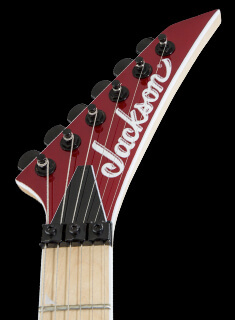 Built with nearly 40 years of Jackson expertise, the King V KVX features a basswood body, through-body maple neck with graphite reinforcement and scarf joint for great playing comfort. 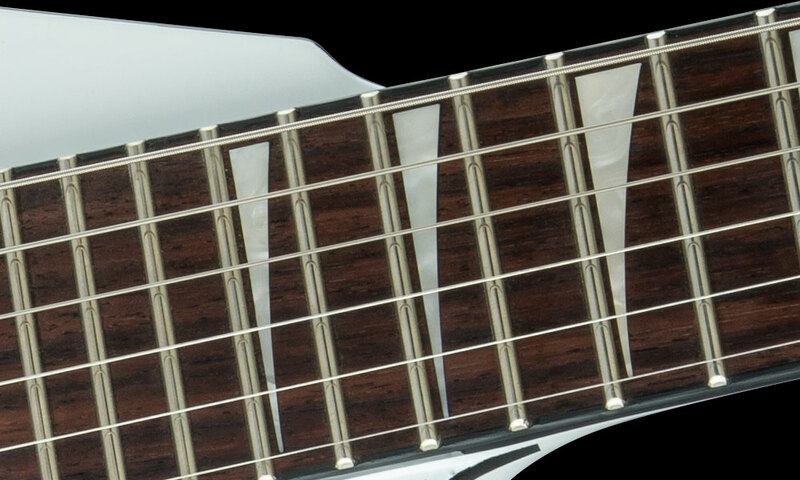 Hosting 24 jumbo frets and pearloid sharkin inlays, the 12”- 16” compound radius bound rosewood fingerboard curves more powerfully at the nut for easy chording and flattens out as it approaches the body for low action bends without fretting out. 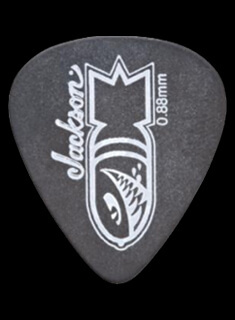 Covered Jackson active high-output humbucking pickups deliver well-balanced tone with tight bass, glassy mids and crunchy highs, and can be manipulated with dome style single volume and tone controls and a black three-way toggle switch. 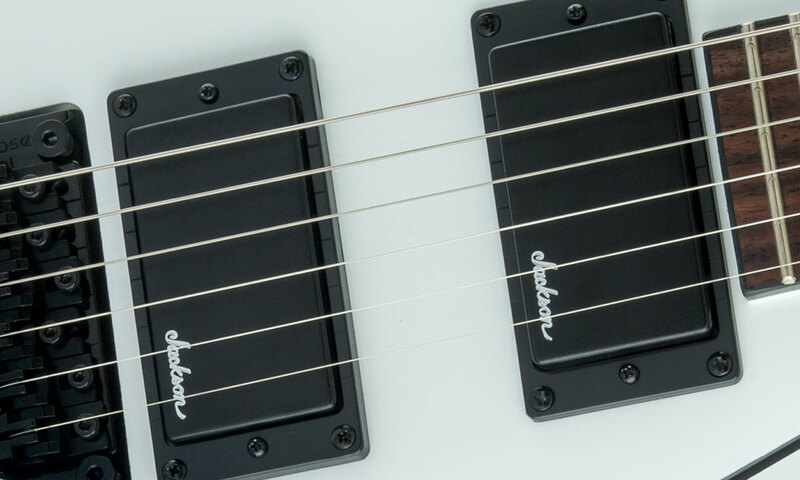 Dive and soar expressively with the Floyd Rose® Special double-locking tremolo bridge system, recessed for pick hand comfort and providing laser-accurate intonation and ultra-stable tuning. 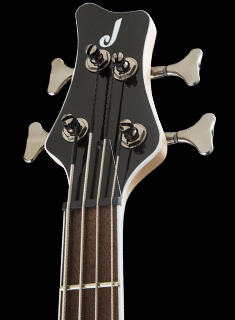 A commanding figure onstage or in the studio, the KVX is available in Gloss Black with white body binding and black hardware, or in Snow White with black body binding and black hardware.